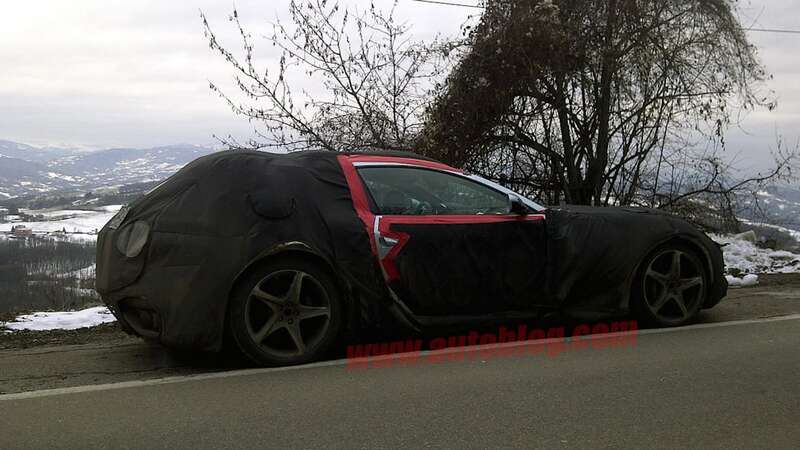 Our army of camera-wielding spy shot masters have managed to snag a few tasty photos of what appears to be the most advanced test mule of the expected Ferrari 612 Scaglietti successor that we've seen to date. 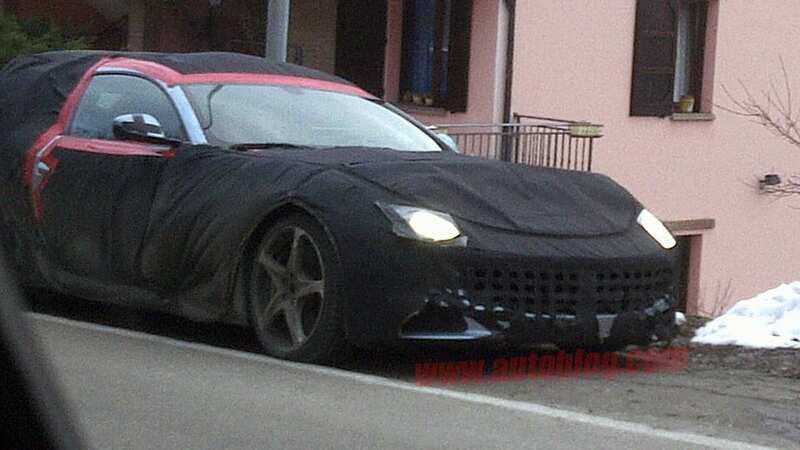 As you may recall, rumors have cropped up that Ferrari is hard at work on a new shooting brake interpretation of the 612, and given the cladding slathered all over this particular vehicle, it would be easy to believe that the Prancing Horse pictured above is that very creation. 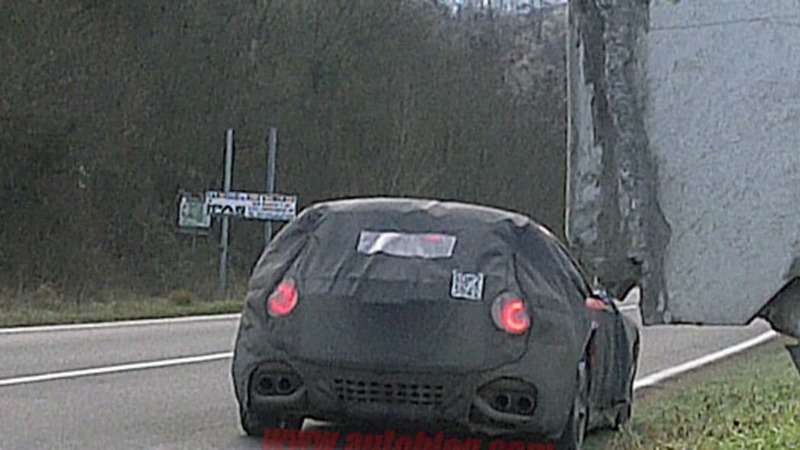 Still, we have reason to believe that additional camouflage on this mule is covering up something a little more conventional – a 2+2 coupe bodystyle, though a rakish two-box shape may also be in the cards down the road. A longer wheelbase is expected to help facilitate a little extra leg room, or possibly the components of a new Ferrari all-wheel drive system. There's also some thinking that points to the next 612 as packing a KERS-type system to help boost fuel economy and power off of the line. Either way, we'll find out more as we get closer to the Geneva Motor Show in March, where the 612 successor is expected to make its debut.